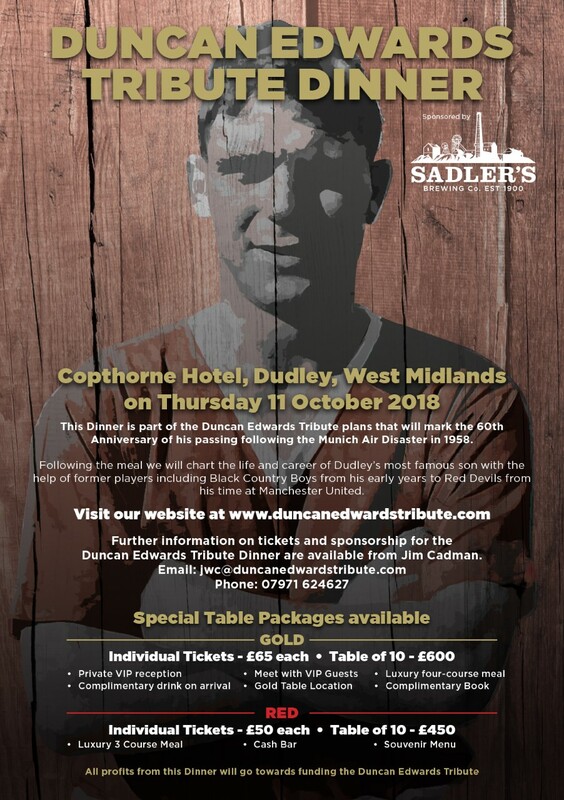 Football legends from around the country will be joining us at the Duncan Edwards 60th Anniversary Tribute Dinner at the Copthorne Hotel on Thursday 11 October 2018 for a very special evening to honour magnificent achievements and the lasting legacy of Duncan Edwards. 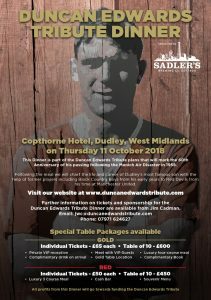 Players and Coaching Staff from the Manchester Youth Academy and members of the Former Players of Manchester United will also be joining us along with a number of Duncan’s team mates from Priory School, Worcestershire Boys and Dudley Boys. A new, lavishly illustrated book – Black Country Boy to Red Devil – will be launched at the Dinner which tells the story of Duncan Edwards from his Black Country roots and his schooldays in Dudley through to his time as one of England’s most celebrated international players. 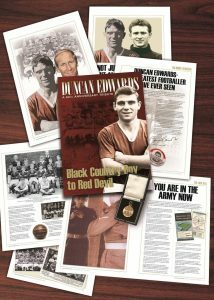 Each guest at the Dinner will be presented with a copy of the book which also includes a forward by Sir Bobby Charlton OBE and a wonderful tribute from Harry Gregg MBE. Raising £500,000 to Save Zac Oliver’s life. Get him to Philadelphia and have a chance at life.